The diary of a young Pilgrim girl who makes the dangerous journey on the Mayflower to America is filled with her thoughts about her new friends, her contact with Native Americans, and her love for her new land. Ah, yes. 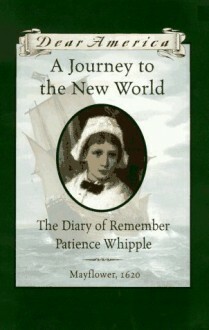 "Remember Patience Whipple." This little book inspired seven-year-old-me to keep a diary until my patience ran thin and it got buried under other junk in my bedside drawer (I still have it). I called it "Mem" and also forced my little sister to play Pilgrim Ship Pretend with me for a month.